The TIP120 is, by electronic standards, an old device and there is a lot of talk on the internet about how it is passed its prime and never the best option. Being old though, it well tested, proven to be very reliable, and cheap. They are very cheap. A while ago I bought 1000 of them for around 4 USD. I still have most of them in a box somewhere. 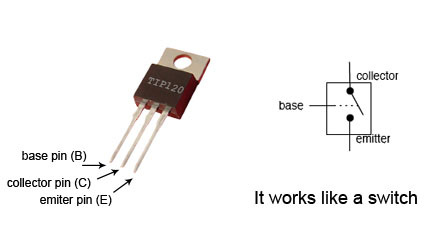 The TIP120 is a NPN Darlington pair transistor, which means it is two transistors, one piggy backed on top of the other, the first one driving the second one. The current amplified by the first transistor is amplified further by the second transistor. 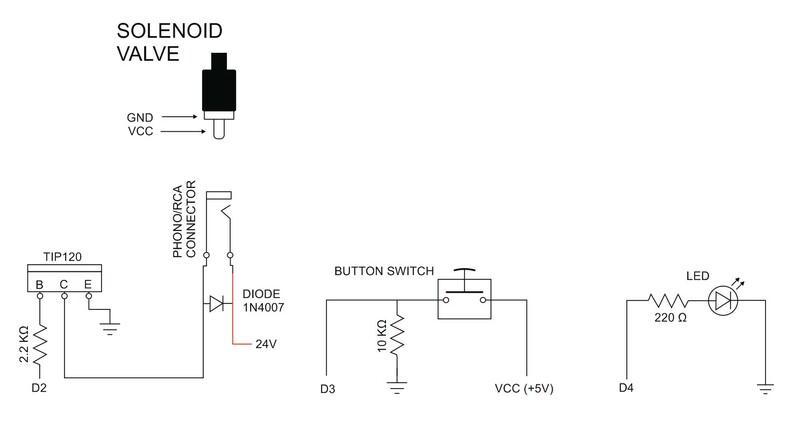 This allows a very small voltage to switch a very large voltage. The TIP120 can handle 60v up to 5 amps. These are the maximum ratings so the TIP120 should not really be used at this level. My valve is 24V and rated for 0.275 amps so well within the limits of the TIP120. One downside to the TIP120 is the voltage drop across CE. 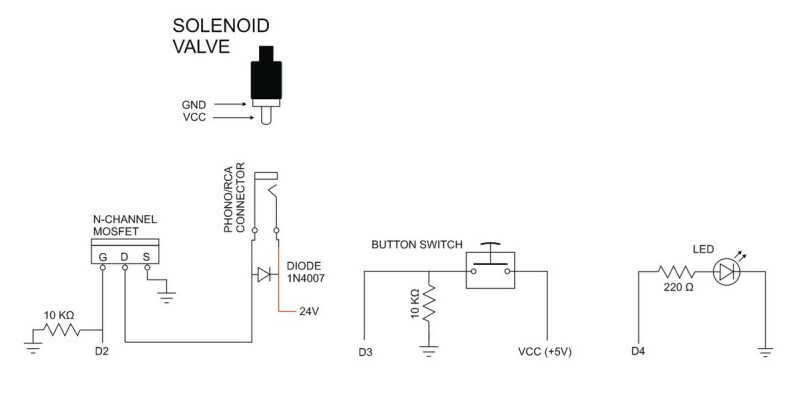 This can be anything from 2v to 4v depending on the current. 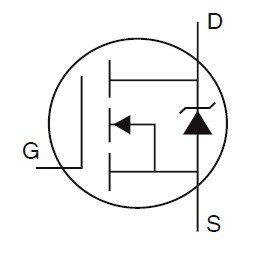 In the example below the TIP120 can be thought of as a switch and applying a current to the Base pin allows current to flow between the Collector pin and the Emitter pin. The IRFZ44N mosfet is a logic level N-channel mosfet which means it can be controlled from a logic level voltage of 5V. There are also 3.3v logic level mosfets so when selecting a mosfet double check the data sheet. There are many similar mosfets that can be used in exactly the same way. N-channel mosfets are voltage driven and require very little current. They also have very little voltage drop across drain-source. The actual voltage drop is dependent on the mosfets RDS(on) property. So the lower the RDS(on) the better. The IRFZ44N has a RDS(on) of 17.5mΩ, not bad, and can handle 55v at 49 amps (remember these are maximum ratings, don’t actually use it at this level). I am using the mosfet as a switch exactly like the TIP120. But why bother with a mosfet? There a few advantages. Mosfets are voltage driven so we don’t need to worry as much about current, they are more efficient than TIP120s so we do not need to care as much about total power and heat, and they switch quicker. You can also get away without a resistor so there is one less component. However, if you use a mosfet for fast PWM then you may get issues with gate ringing and adding a small resistor (up to 100 ohms) will reduce it. 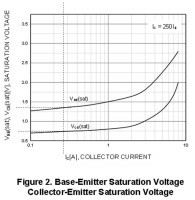 Darlington pair transistors have a considerable voltage drop across emitter and collector. Mosfets don’t have a specified voltage drop but instead have a drain-source ON resistance (RDS-on) which is normally very small and results is a low voltage drop. Transistors are current driven and require a current limiting resistor on the Base pin. Mosfets are voltage driven and require hardly any current on the Gate pin but does need enough voltage. This means a resistor on the Gate is not always required. Please be aware there is far more to it than this. If you are using either a transistor or a mosfet for other things (like PWM) then there are other things to consider. For the following examples I am using a Shako PU220AR Solenoid valve with 24v coils. These draw around 0.275 Amps. The valve is a normally closed and uses an electromagnetic coil to open. Apply a current the coil charges creates a magnet that moves a plunger which opens the valve. Stop the current the plunger moves back and the valve closes (other valves can work in different ways). When you remove power from an electromagnet, the magnetic field collapses creating current (the coil is an inductive load). This current can be very high and can be powerful enough to kill an Arduino. 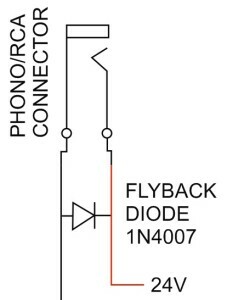 To stop this happening we add a flyback diode (AKA a snubber diode, freewheeling diode, and many other names). The diode allows current to move in one direction only and safely dissipates the current created by the collapsing magnetic field. This can slow the decay slightly but for use with solenoids this is not noticeable, the valve is much slower. 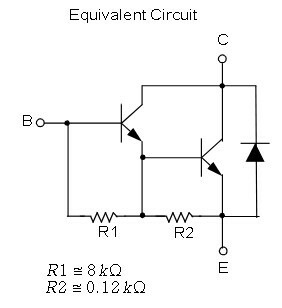 Here we have a very basic circuit. Note that all GNDs are connected. DO NOT CONNECT THE 24V WITH THE 5V! When we set Arduino pin D2 high, the transistor activates and allows current to flow to the valve. The sketch switches the valve on and off every second. It’s the blink example with an extra couple of lines of code. Hard to tell from the photo above but when running the valve clicks as it opens and closes in sync with the Arduinos on board LED. Note that all GNDs are connected. DO NOT CONNECT THE 24V WITH THE 5V! The TIP120 is a current driven device and will, given the chance, try to use as much current as possible, sucking the life out of the Arduino. This is not good, so we add a current limiting resistor to stop it happening. So what resistor to use? I generally use 2K2. Why? because I am lazy and it is what the internet says. I don’t go in to the full details on how to select a resistor, there are far better explanations than I can offer online, google “How to calculate TIP120 resistor value”, but the basics are as follows. – what current an Arduino is able to deliver. Safely this is 20mA. Max is 40mA. 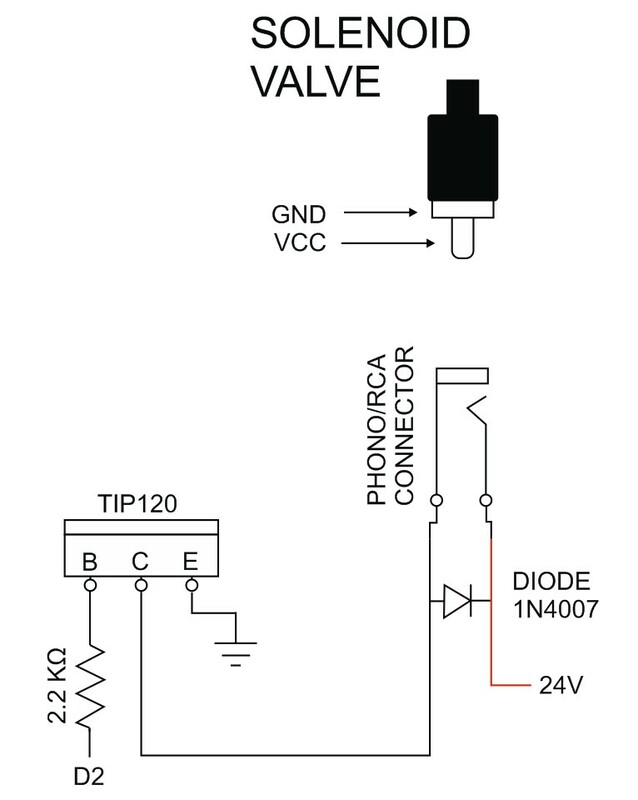 – what current the valve uses when active. This is 275mA or 0.275A. – the TIP120 data sheet. The load (the current the solenoid needs) is 275mA or 0.275A. 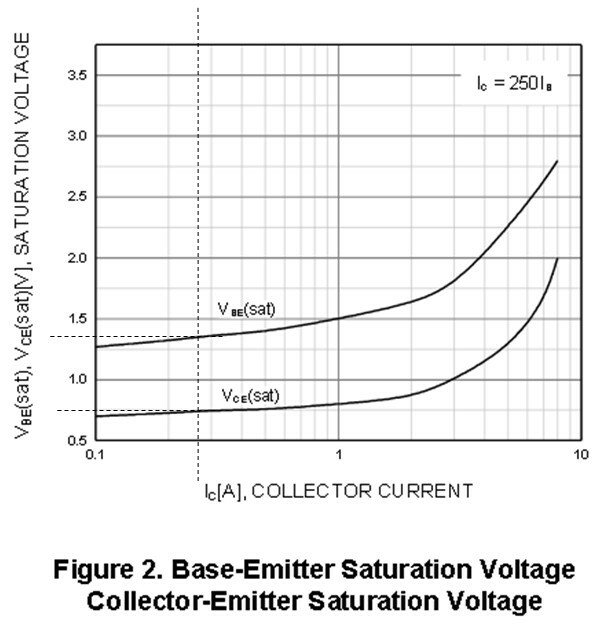 This is the collector current (Ic). 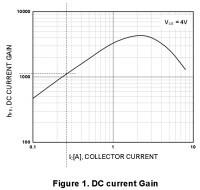 The DC gain at 275mA (according to the data sheet) is around 1200. Diagram 1. Vbe is around 1.4v. Diagram 1. Vce at 275mA is around 0.75v. Diagram 2. In order to switch 275mA we calculate the Base current using Ib = Ic / DC gain. 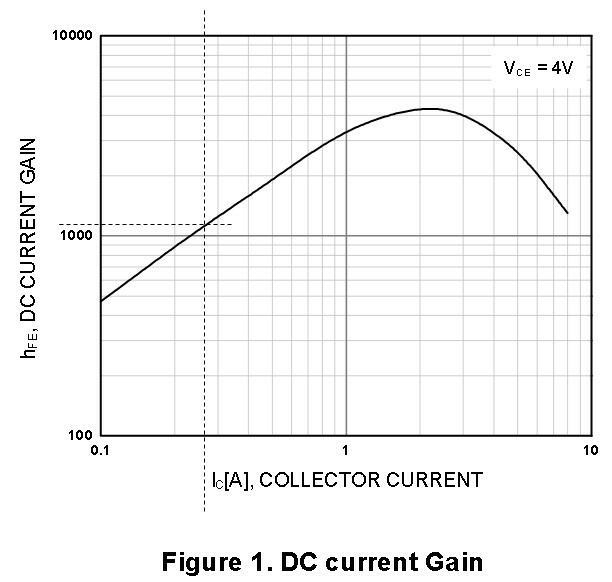 Ib = Ic / DC gain or 0.275A/1200 = 0.000229uA. The general internet rule of thumb is to use Ib x 5 which gives us 1.15mA. Now we can use ohm’s law to work out the resistor value. Resistor value (Rb) = (5v-1.4) / 1.15mA. Rb = 3.6/1.15. Rb = 3.13 or 3K13 Ohms. Power = 0.275A * 0.75v = 0.2 watts. This tells us if we need a heat sink or not. A 3K13 or 3K3 ohm resistor is the best case scenario and may cause the TIP120 to be borderline saturated (When using a TIP120 as a switch we need to make sure it is fully saturated or it doesn’t turn all the way on). To ensure the TIP120 is fully saturated we lower the resistor value, I normally go with 2K2 and for the valve I am using could probably go to 1K. I’ll stay with 2K2 because that is what I generally use and also have one on hand. The circuit for the mosfet is very similar to that of the TIP120 and although the pins on the mosfet have different labels the connections are basically the same. You should notice that we no longer have the current limiting resistor but we do now have a 10K resistor that pulls the pin to ground. This stops it floating and causing issues. 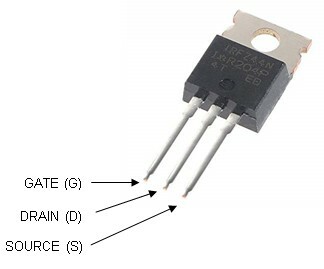 When used as a basic switch, there is no need to add a resistor to the Gate of the mosfet. If you use a mosfet with a fast switching signal then there may be issues with gate ringing and a small resistor can help. Because we are using the same pins as above the sketch has not changed. In this particular example the solenoid valve does not require that much current and the TIP120 is probably over kill and a regular transistor could be used. A regular transistor is used in exactly the same way as the TIP120 but it will have lower capabilities (smaller voltage, smaller current). Is a mostfet or a TIP120 better? In most cases a mosfet is better. They use a newer technology, are more efficient and do not have the large voltage drop the TIP120 has. Having said that, if you have a TIP120 there is no reason not to use it. TIP120, TIP121, and TIP122 are mostly interchangeable. The difference is the TIP121 and TIP122 can handle larger voltages. This entry was posted in Arduino, Solenoid by Martyn. Bookmark the permalink. This is incredibly perfect timing and great reference material for my project, thank you so much! !